Ramapo College has some of the best facilities in the Northeast. 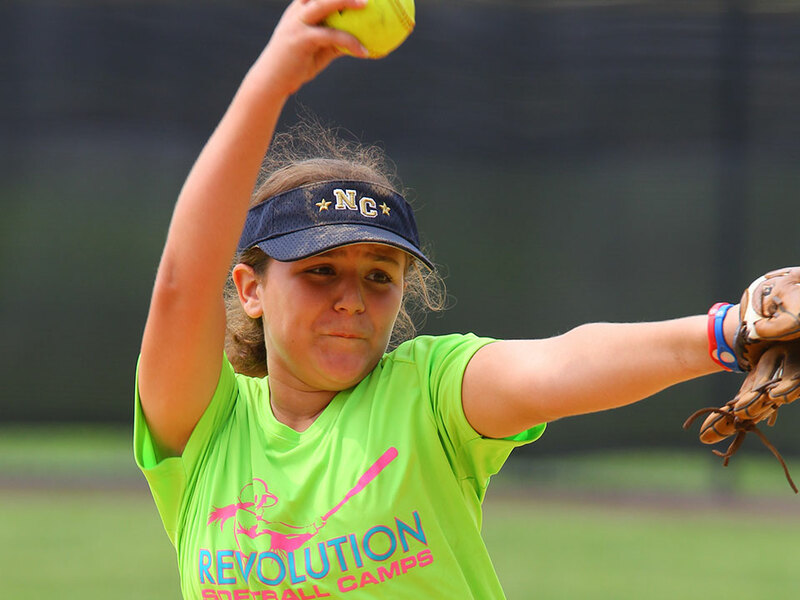 Campers will stay in air-conditioned suites, have access to the indoor swimming pool and play on the all natural grass softball field with bullpens and outdoor batting facility. 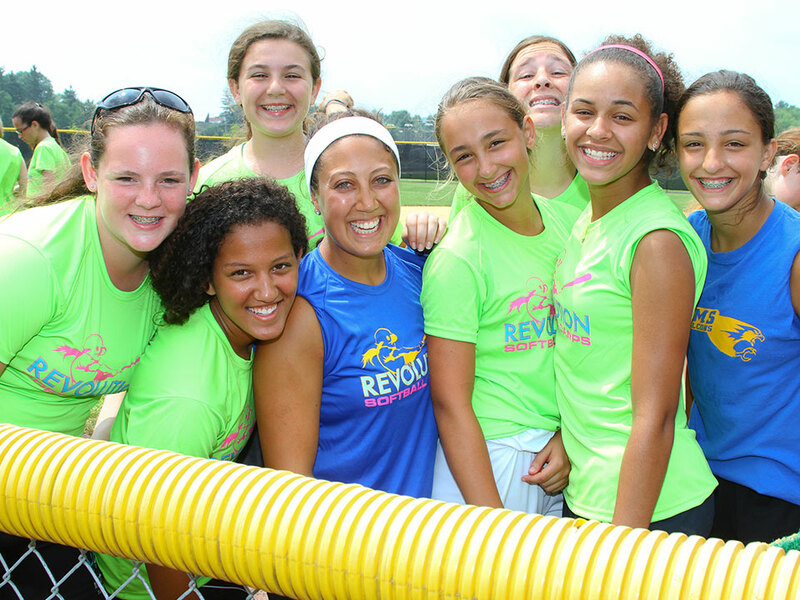 This is one softball camp you wont want to miss! Check In: Overnight Campers will check-in at the dorms between 12:30pm – 1:00pm. Commuters will check-in at the dorms between 12:30pm – 1:00pm. (Dorm location will be announced closer to the start of camp). The first meal served is dinner. Please arrive dressed and ready to play. Extended Day Camper Pick-up: Extended Day Campers are to be picked up each day at 8:30pm at the softball field. Day Camper Pick-up: Day Campers are to be picked up each day at 4:00pm at the softball field. Check Out: Parents are invited to attend final scrimmages that begin with warm-ups at 2:00pm. The last meal is lunch. Check-out for ALL CAMPERS will occur at the softball fields at 4:00pm. Below is a suggested list of items to bring to camp. We suggest that campers do not bring expensive personal items such as cameras, iPods/iPads, etc. Cell phones are allowed in the dorms and dining areas, but not on the field during training sessions. Please label every article you bring to camp. All items will be the responsibility of the camper. Revolution Softball Camp and its camp staff are not responsible for lost, stolen or forgotten items. We utilize inclement weather opportunities to focus on team building, strategy sessions, individual meetings. The nearest airport is John F. Kennedy Airport in Queens, NY. You are responsible for getting yourself to and from campus, Revolution Softball Camps does not provide transportation. Any camper who must cancel prior to camp will receive a camp credit equal to the amount of camp tuition already paid. The credit is transferable to another family member and is good for any Revolution Softball Camp or eCamps Partner program through next summer (agreement begins at time of purchase). Any cancellation within 5 days of the start of camp will result in a camp credit minus $100 cancellation fee. Camp credits are not extended to campers who leave camp after the start of a session. CASH/CREDIT CARD REFUNDS ARE NOT OFFERED UNDER ANY CIRCUMSTANCE. Kristen Hunt was named the Rutgers University-Newark softball coach on July 27, 2015. In Hunt’s first season at Rutgers-Newark, she led the Scarlet-Raiders to the programs first winning season in school history! Hunt comes to Newark after time at Division I Central Connecticut State University, Division II University of Bridgeport and Division III Wheaton College. Hunt graduated from Wheaton (Mass.) in May of 2011 and was an NFCA All-Region pick that same season. A two-year team captain and 2011 all-conference performer, Hunt immediately headed to Bridgeport in her home state as an assistant coach (2011-2014). As a member of the Knights’ staff, she had her hands in all aspects of the program, developing a strength and conditioning program, planning and running individual practices and much more. 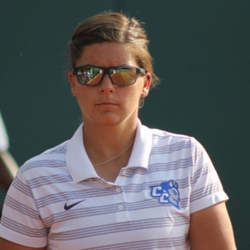 After three seasons at UB, Hunt moved on to CCSU in January of 2014 and helped guide the Blue Devils to the 2015 Northeast Conference title and a berth in the NCAA Tournament. While at Central, Hunt played a major role in all recruiting, travel, budgeting, team academic performance, community service, university and NCAA compliance, etc. During that time, the Blue Devils compiled an overall record of 60-30 and a winning percentage of .667, making deep postseason runs in both campaigns. The Scarlet Raiders had a solid 2014 season that featured 18 wins, including closing the season by winning nine of their final 12 outings. Purcell knows the New Jersey Athletic Conference (NJAC) well after a decorated four-year career at TCNJ. Purcell competed in 151 games, starting 150, as a catcher and utility player while earning All-NJAC honors each of her four seasons. She was an honorable mention in 2013, first-team as a sophomore, second-team as a junior, and she capped her career with another first-team All-NJAC award. Purcell was a career .275 hitter who racked up 122 hits and 53 RBI while fielding her position at .984% clip. The Lions made the NCAA Tournament following Purcell’s rookie year, and while serving as a team captain in 2016, her squad made it back to the NCAA Tournament as she earned NCAA Regional Tournament Team honors. As a coach, Purcell has led the NJ Pride Softball 18u Gold team in the summer of 2016 and the NJ Pride Softball 18u Elite team in 2015. She has also been an instructor at the Lady Lions Sports Camp in Caldwell, N.J. since 2009 where she coaches and mentors young student-athletes on the skills, techniques, and competitive strategies necessary for individual and team achievement. 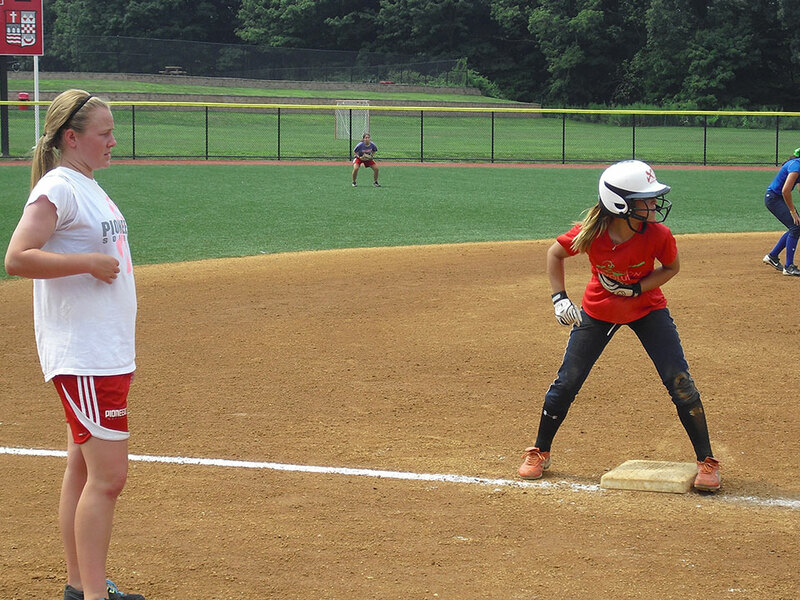 In addition, Purcell has worked as a softball coach at the 4 Real Baseball and Softball Camps, TCNJ Softball Winter Clinic, Nike Softball Camp, and Long Valley Girls’ Softball Association Summer Softball Camp. Sixteen years after throwing the only perfect game in Drew University softball history, Erica Mehalick returns to The Forest as the program’s sixth head coach. Mehalick leads the Rangers into their 28th season following a nine-year stint as the head coach at Stevens Institute of Technology, where she transitioned the Ducks from a club to an NCAA varsity program on the way to five Empire 8 postseason appearances and 157 victories. She was named the Empire 8 Coach of the Year in 2014 as a result of a 30-13 campaign. Mehalick made history on March 28, 2001 by throwing a five-inning perfect game, retiring all 15 batters in order in a 9-0 victory over Delaware Valley in Madison. Including that gem, she fired the first two no-hitters in program history with another no-no coming on March 23, 2002, albeit an ultra-rare no-hitter loss, 1-0, at home against Lycoming. Mehalick ranks second all-time at Drew with 39 career wins, first in innings pitched with just shy of 500, second in career shutouts (8), and third in career ERA (2.26) and strikeouts (234). Her degree in economics led to a job in the reinsurance industry for six years. In 2006, she spent her time out of the office coaching club softball teams, including the squad at Stevens, which led to her appointment as the program’s first varsity coach in 2010. She completed a masters in sports administration at Fairleigh Dickinson in 2014. Mehalick was selected twice as a CoSIDA Academic All-District winner, and carried that focus on academics to her coaching career. In 2015, her Stevens squad earned the seventh highest GPA for softball teams in Division III, and in 2017, the program had its first CoSIDA Academic All-District selection and claimed the NJAIAW Team Academic Award for spring sports. Under Mehalick’s guidance, a total of 29 student-athletes have received Empire 8 All-Conference honors, including the conference Rookie and Pitcher of the Year in 2014. Mehalick has also coached six ECAC All-Stars and nine NFCA All-Region performers.